Ebook for teachers and students with lesson plans for teaching mythology in the classroom – including activities for juniors and seniors, write-on tables, flow-charts, and illustrations. Content includes Features of Myths, Creation Myths, Nature Myths, Hero Myths, and Myth Monsters. Free sample lesson download: Flood Myths. How to buy the PDF: Price US$10.00. 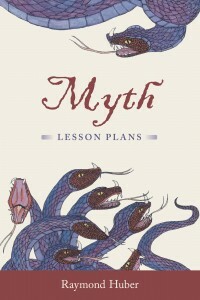 Lesson 1: What Do you Know About Myths?